Here are a few things I intended to post during May but I didn’t get a chance. Looking for free online storage for your music files and images. There are now a large number of online storage providers. Very handy for backing up your files. Thanks to The PutPlace Blog for doing a very useful summary. If you are already using Google Apps, then you are aware of Google Sites. Google have now made Google Sites available to all users. So if you want to build and host your own website for free – visit Google Sites. 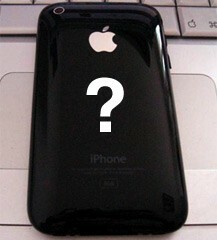 Finally, we should know on Monday June 9th about the latest iPhone. Will it have 3G? Maybe a choice of colour? A better camera? Steve Jobs will reveal all next Monday when he delivers a keynote speech at the 2008 Worldwide Developers Conference in San Francisco.